Ready to play chess? Time to put your ECO Index studies to use. Test your mettle in the field. Step into the fray and taste the heat of battle. Now you can play casual games, watch others play, enter or create tournaments, discuss chess with other members and make friends. 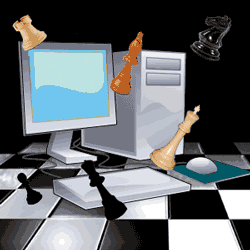 Lapoc has lined you up with some of the leaders of the online chess gaming world. Step on to the field at Playchess.com. Try your hand on Chesscube. 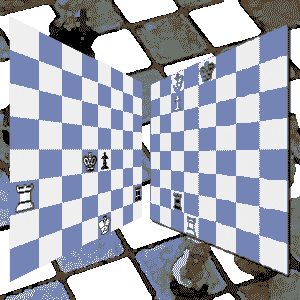 You can also get a game on Chess Here. Get ready to test your mettle in the field. Nothing quite like a hard battle over 64 squares. My favorite games are the ones where my opponent tests me to the limit and the outcome is in the balance through every move. Whenever you feel like you played your best. The game had interesting positions and themes running through it. Then it is satisfying no matter what the result. Enjoying your games is more important than the result. But let's keep it real, it's easier to enjoy your chess when you're winning. Get stronger and improve your results with some intensive study of chess endgames.